Sieve the wheat flour and knead to a soft dough by adding enough water. Keep aside. Soak moong dal for one hour. Wash and drain all the water. Cook the moong dal in 1 cup of water. Heat oil in a pan, add the cumin seeds, asafoetida. Fry till they pop up. Add the cooked dal, salt, turmeric powder, red chilli powder and mix well. Take some portion of dough , make a small puri. Put some moong dal stuffing in center. 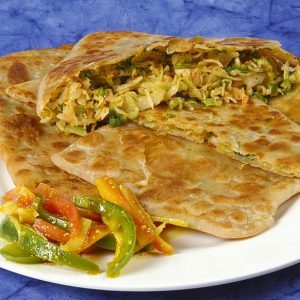 Close from all sides and roll again into thick, round paratha. Heat a tawa ( griddle), put the daal ka paratha and cook on both sides by adding some oil. 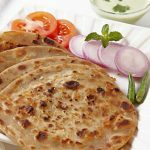 Serve dal paratha hot with curry. 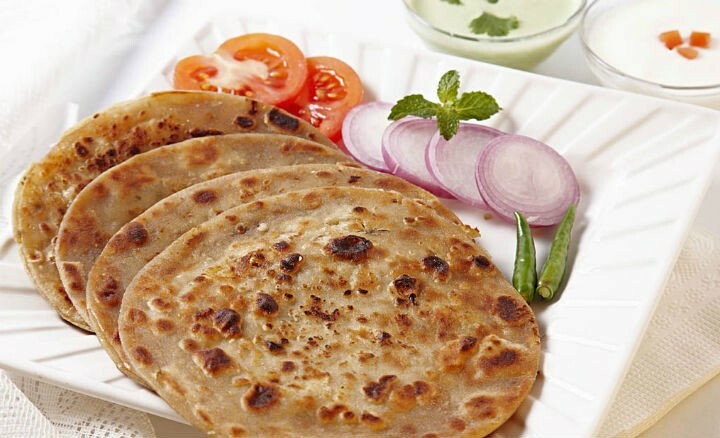 Feel free to comment or share your thoughts on this Dal Paratha Recipe from Awesome Cuisine.